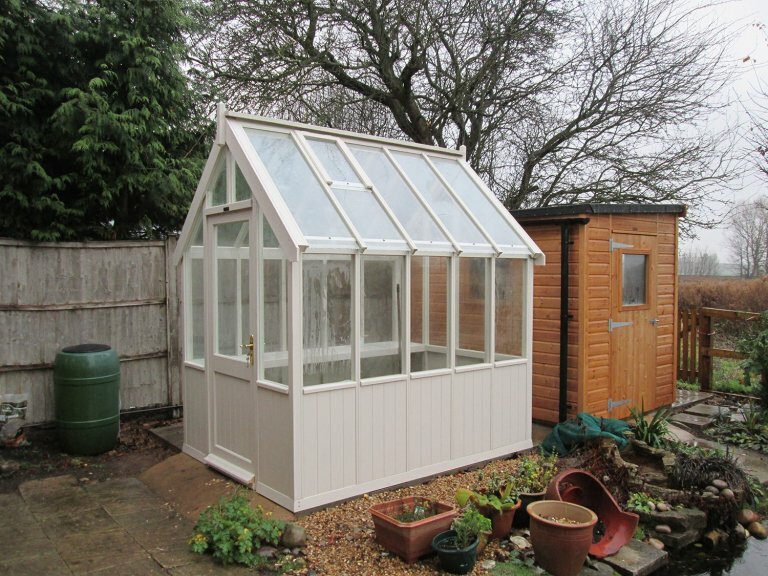 Measuring 1.8 x 2.4, the Greenhouse is available in several different size options, with this one being one of the smaller dimensions that we offer. All glass is our 4mm toughened safety glass for increased durability, and all greenhouses benefit from the automatic-opening, temperature-controlled roof vents that ensure the contents of the Greenhouse remain comfortable. Our customer also opted to add a slatted workbench along one of the interior sides, ensuring that they have plenty of shelving and storage space for their potting plants. 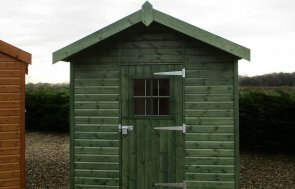 The exterior of the building is painted in the shade of Twine, which was selected by the customer from our vast range of options. We also offer a Farrow & Ball palette as well as a colour-matching service for those with a specific shade in mind. 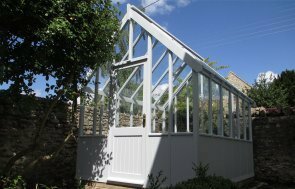 If you have been inspired by our high-quality Victoria Greenhouse, we recommend that you get in touch with us on 01760 444229 to discuss your own ideal building or pay us a visit at your nearest showsite, which can be located here.